Strong-willed stage manager Grace Chang once longed for success and love. Then she got burned by a charming cheater. Okay, forget love. Now she's aiming for success with her new job on Mars: The Musical, but dangerous sabotage threatens to make it Mars: The Megaflop. As for men, she's done with them. Especially charming ones. Done! Charming lion shifter bodyguard Rafa Flores lets his teammates believe he's a carefree ladies' man. But he secretly spends his nights alone, longing for the mate he's never found--until he gets a job guarding Grace. Now he must solve a mystery, court his true love, protect her from a deadly assassin, and explain that he's a shifter without sending her running for the hills. Piece of cake! One alpha lion shifter and one strong woman are about to face the toughest challenge of their lives. No, not the assassin. Love. Featuring hot romance, exciting action, a team like a family, laugh-out-loud humor, and a tray of unusual cupcakes, Leader Lion is a must-read for fans of T. S. Joyce and Terry Bolryder. All the books in the Protection, Inc. series are standalone romances and can be read in any order. No cliffhangers! 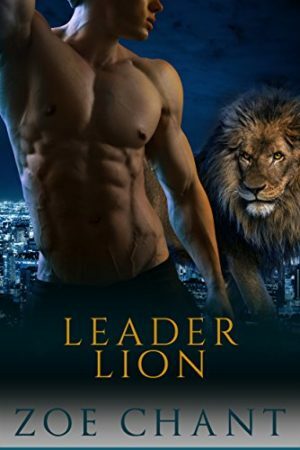 If you love action-packed paranormal romance with a funny twist, one-click on Leader Lion today!